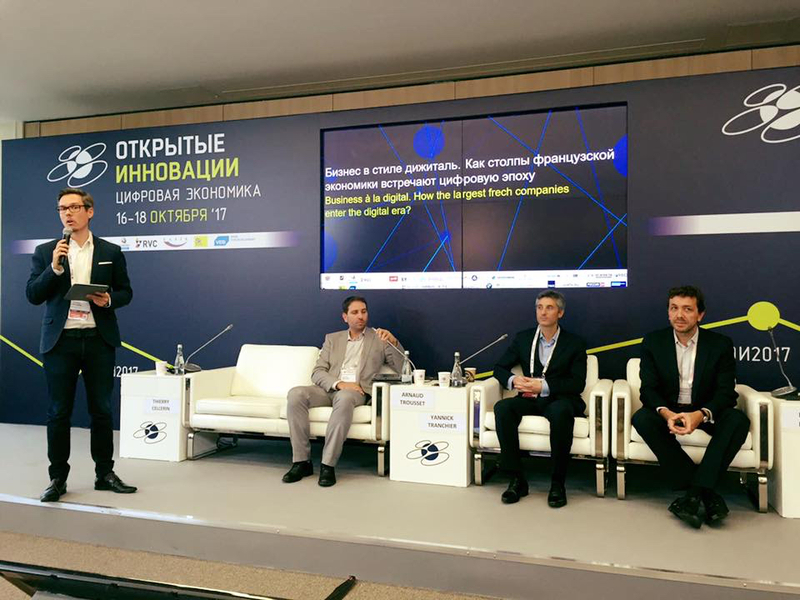 Press Release, Moscow, 18/10/2017: General Director of the RILOS company Arnaud Trousset, editor of Geomatrix, an online SaaS predictive analytics solution for the retail industry, and proud member of #frenchtechmoscow committee, took part in French Tech round table at Skolkovo’s Open Innovation on 16/10/2017. The main aim of the round table was the discussing how French companies are implementing their digital Transition strategies. Many international companies are actively taking actions to prepare their businesses to adapt into the new reality of digital economy. Throughout this process, they face many new challenges linked to the appearance of innovative technologies, shifts in users’ purchase habits and the emergence of new formats pro active competitors. In this panel, representatives of French Tech Moscow (BuzzFactory, Numa and Rilos) discussed their vision and experiences. The organizers of Viva Tech, the main French exhibition dedicated to new technologies, share their views on European digital transition trends. The panelists share their insights through successes and failures they have experienced as well as the way they identify trends and technologies that help them win in the digital economy. 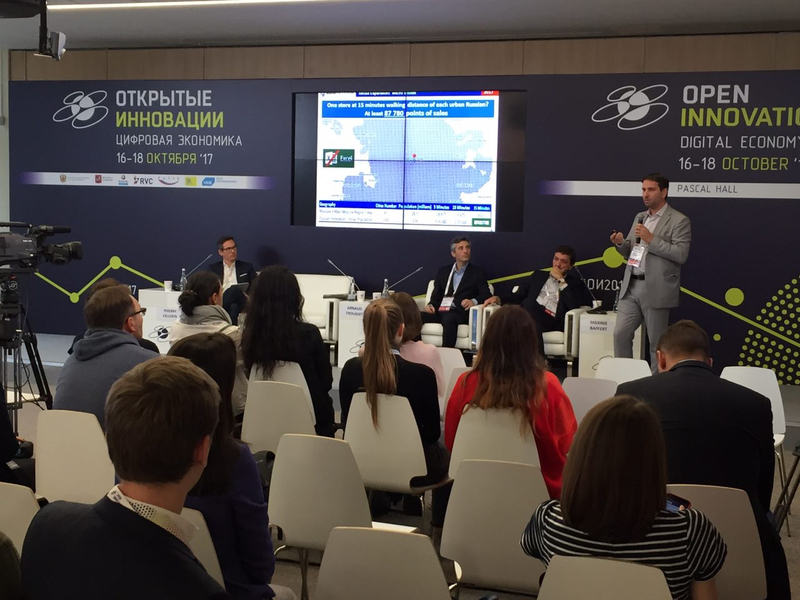 Arnaud Trousset presented a dedicated case on how retailers can face the digital transformation in their expansion process in Russia and in their other markets, benefiting from the expertise of advanced start-ups such as Geomatrix. Geomatrix is an online SaaS solution, allowing retailers to conduct expansion and marketing researches independently and without any knowledge of GIS technologies, in more than 67 countries.